*A quick note before I begin the actual review* I would like to explain my reasoning behind the individual ratings I have given the NES. Because of the difficulty in rating a system's graphics, gameplay, etc., I simply rated each category according to the potential that any game could have in combination with the Nintendo Entertainment System. 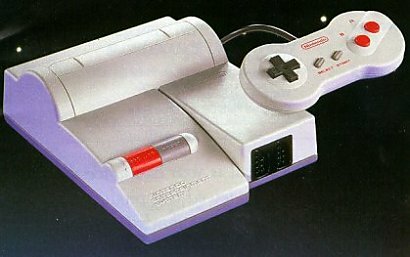 In 1985, Nintendo created a home gaming console that took the next step in video game technology, and in the process, changed the gaming world forever. Little did anyone at the time realize what video games would one day become, but there is no denying that Nintendo helped us get here. Before the NES there were other home consoles, notably the Atari, ColecoVision, and the Magnovox Odyssey. Though these systems even today have small but loyal followings, compared to the NES, they all paled in comparison. None of them could match the graphics, sound, or selection of games of Nintendo's little powerhouse. That is why when we think of video game history,and when we consider how we got from point A to point B, we often turn to the Nintendo Entertainment System. Even with the systems that have come before and after, Nintendo created a console so alluring and imaginatively powerful that nostalgia begs us to begin there. Imagine (or recall as the case may be) being a kid again and waking up one Christmas morning giddy and excited about what you might find beneath your Christmas tree. 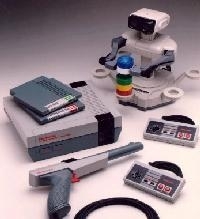 In the late 80s, unwrapping a Nintendo was like unwrapping a dream. Though it was mostly children who had the pleasure of unwrapping a new NES, thinking of the system as a toy is, in my mind, a grave injustice. It was more like a portal to another world. I can recall adventures in space, travels through time, and epic battles of good versus evil. Days on end were spent in front of my TV, stomping goombas and exploring Hyrule while playing Super Mario Bros. 3 and The Legend of Zelda, respectively. As much as I loved playing my Nintendo by myself, the real joy it created was as a means to bring people closer together. I loved playing Tetris with my mother just before bedtime, when the sky was dark and all that illuminated our laughter was the soft glow of a television screen. My afternoons were spent taking turns on Double Dragon with my neighbors after we just got back from an afternoon of swimming. The Nintendo Entertainment System just brought people together. It made people happy, and for many of us, it made lasting memories. For more than 25 years, gamers have been captivated by the simplistic beauty of the Nintendo Entertainment System. The system single-handedly rescued the videogame industry from oblivion by providing its fans with hours upon hours of timeless gameplay. Even today, the NES has retained an immense global fanbase and inspired many of the modern games that we have come to love. I still own my NES to this day, and all these years later it still gets frequent playtime. Most of these times I am alone, gazing into the TV at those magical 8-bit images, and on days like that, I remember a simpler time.